zealots managed to retain a tenacious foothold in the struggle for Afghanistan's future? 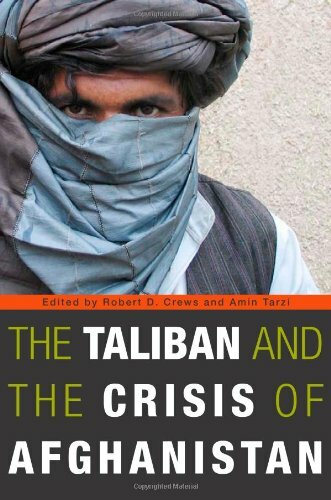 Grounding their analysis in a deep understanding of the country's past, leading scholars of Afghan history, politics, society, and culture show how the Taliban was less an attempt to revive a medieval theocracy than a dynamic, complex, and adaptive force rooted in the history of Afghanistan and shaped by modern international politics. Shunning journalistic accounts of its conspiratorial origins, the essays investigate broader questions relating to the character of the Taliban, its evolution over time, and its capacity to affect the future of the region.Offering an invaluable guide to "what went wrong" with the American reconstruction project in Afghanistan, this book accounts for the persistence of a powerful and enigmatic movement while simultaneously mapping Afghanistan's enduring political crisis. Robert D. Crews is Assistant Professor of History at Stanford University . Amin Tarzi is the Director of Middle East Studies, Marine Corps University .